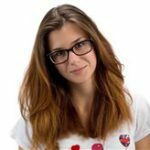 In this blog post, we are going to look at some of the most beautiful places in the world where one can go underwater for scuba diving or snorkeling. 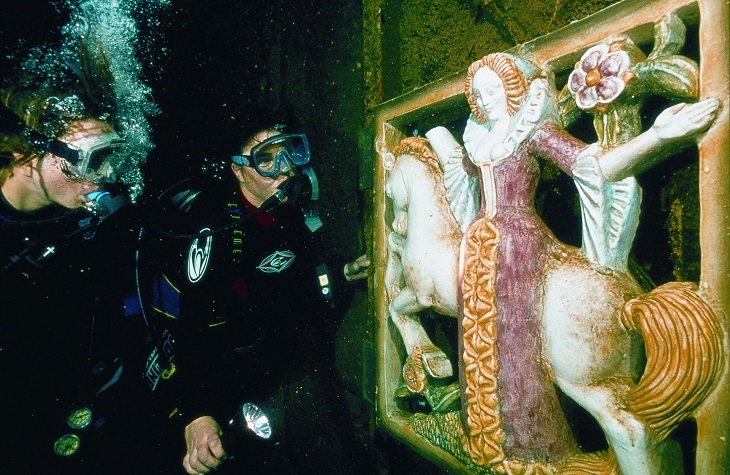 From museums to sharks; you’ll be exhilarated with the “scenic beauty” you’ll discover under water. While exploring the bottom of the sea in the following mentioned places, you might find it hard to believe your eyes at times. 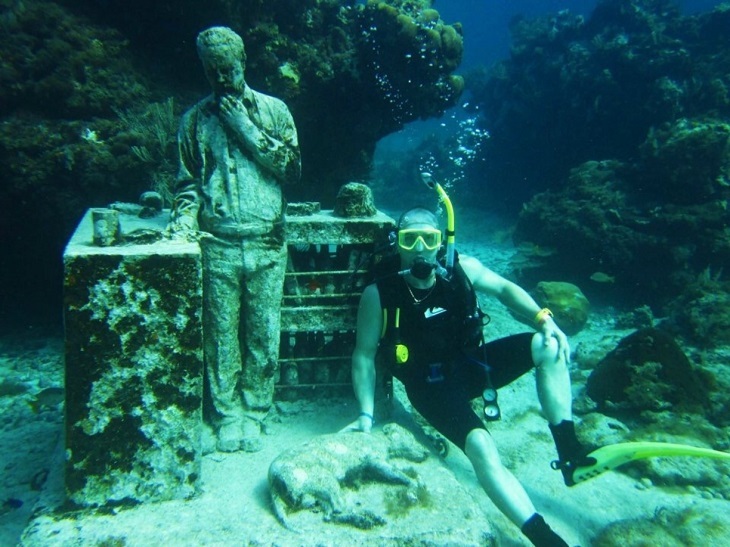 Also known as MUSA, this underwater museum holds more than 470 statues under water. You can go for a snorkel excursion in the Machones reef area. This area is located between the coast of Cancun and Isla Mujeres. El Farito is another beautiful snorkel area just beside Isla Mujeres. In Silent Evolution, you can see statues like that of a pregnant lady, a nun, a fisherman, etc. This is definitely not for the weak-hearted, as the Bahamas is famous for sharks. 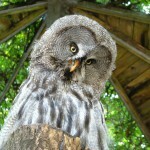 The Out Islands, however, offers lush coral reefs, dramatic walls, and animal encounters. 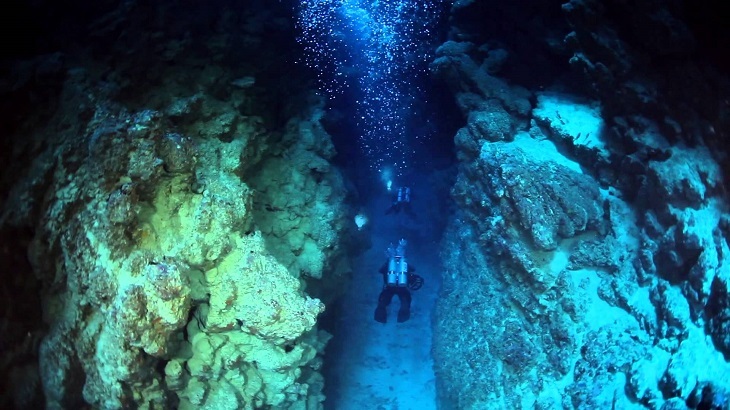 You can watch the Blue Hole and a few thrilling historical shipwrecks. 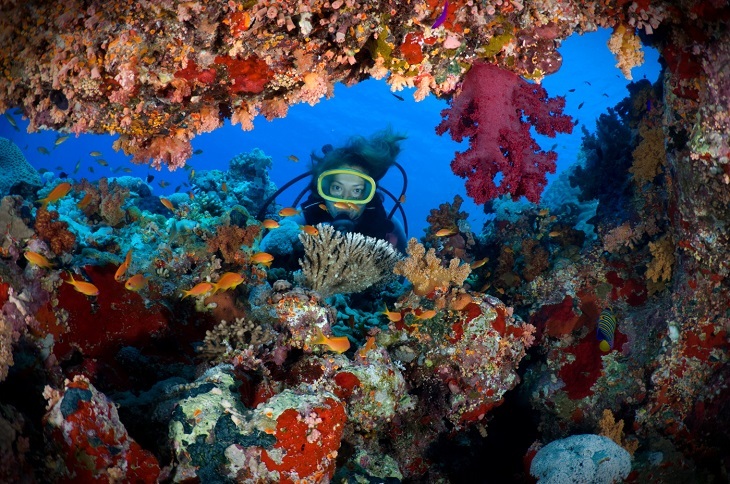 If you’re looking for the best diving experience on the Bahamas, then don’t look any further than the Out Islands. While diving on the dramatic walls you might feel like a superman flying through a grand canyon. You will also witness the scene changing frequently like while watching a school of fish passing by, you’ll suddenly realize that the water has turned deep blue. 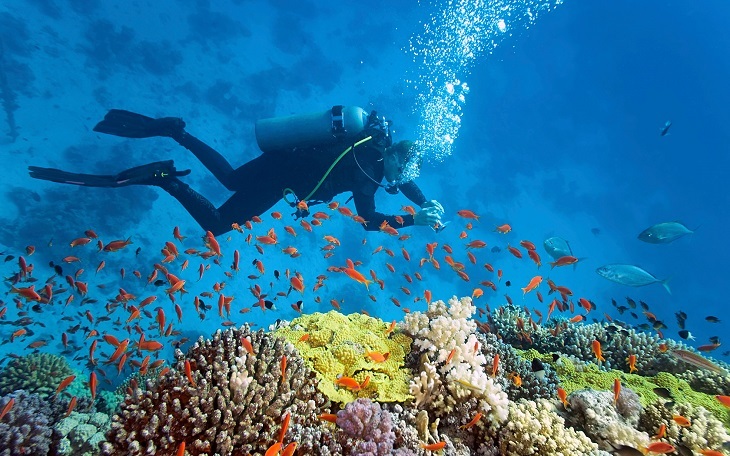 Diving in the Red Sea in Egypt is like driving in of the seven wonders of the underwater world. 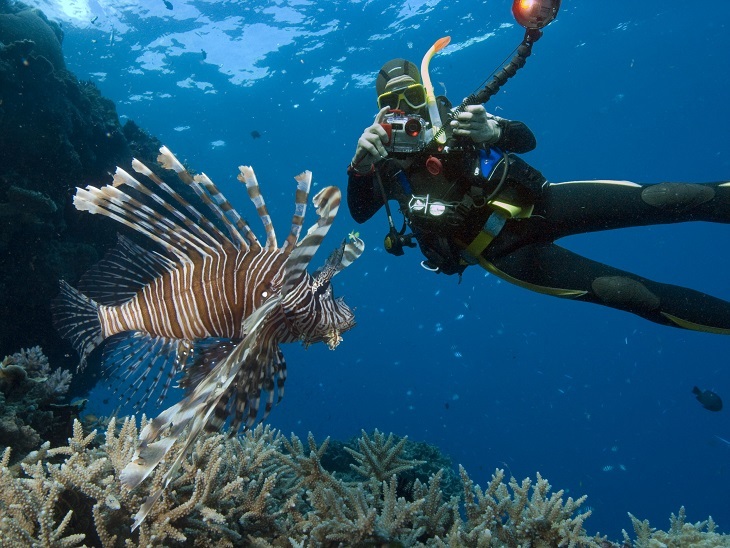 The best part is that diving activities in Egypt are not dependent on any particular season. Egypt has a hot and dry climate, but during winter the temperatures range from twenty-one to forty degrees Celsius. While diving in the red sea you can experience a whale shark gently passing by. Along with that, there are coral groupers, wrasse, blue spotted rays, butterfly fish and angelfish. Do remember to take some deep diving and drift diving training prior to the underwater experience. You possibly cannot visit all the seven thousand islands in this country, but you surely can go for a great diving experience in its beaches. 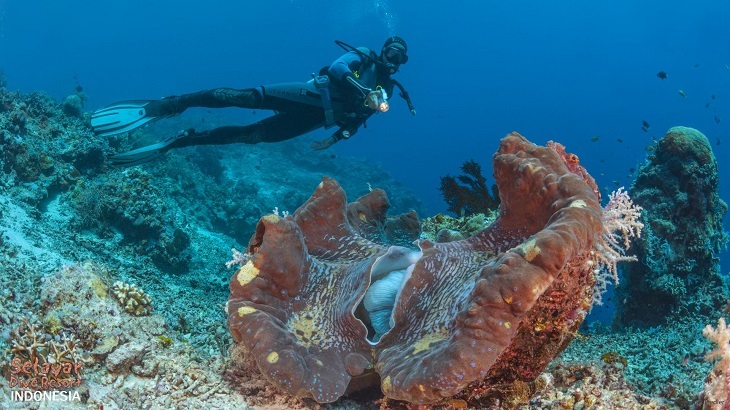 Some of the most famous islands and beaches for diving include the Canyons in Puerto Galera, Apo Island in Dumaguete, and Mactan Island in Cebu. Morazan Maru in Coron Bay, Palawan is a famous wreck dive. Morazan Maru was a ship which went down during World War II in this area. Ever since her doom, she has become a shelter for many fish species, turtles, and even sea snakes. This wreck is now covered with corals and is a delight for divers. This is the most famous of them all because it’s the world’s largest coral reef. Did you know that this reef is the only living structure that can be seen from space? There are 2,900 individual reefs, six hundred continental islands and three hundred coral cays that make up this single structure of living organisms. Apart from the Great Barrier Reef, you can also choose to experience deep sea diving in various other beaches in Queensland. The Sunshine Coast in the south of Queensland, for example, has attractive purposely sunk wrecks, sandstone formations covered in corals, ledges, caverns and pinnacles to experience. If you want to experience the unimaginable 3,000 variegated species of fish, then Indonesia is your place. Indonesia has got more variety of fish than the Great Barrier Reef or the Red Sea. Manta Rays are the main attraction here. Reef sharks and pelagic fishes are also common. For the cleanest adventures, please visit Bunaken, Raja Ampat, and Komodo. These places have preserved their underwater life with care. Apart from them, you can visit Bali, Manado, Wakatobi, Pulau Weh and Gili Islands. Don’t miss out the world class diving in the wrecks of US Liberty Ship in Tulamben, toward the north-east coast of Bali. 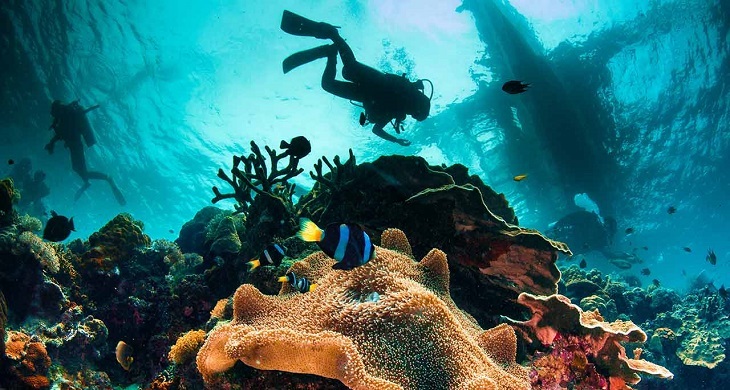 There are three places famous in Thailand for exploring the depths of the sea. The Similan Islands, Hin Daeng / Hin Muang and Richelieu Rocks in Thailand, are some of the most beautiful places in the world. Similan Islands are the most collection of islands in the Andaman Sea and offer deep water boulder formations and beautiful coral gardens. Hin Daeng and Hin Muang are two pinnacles outside of the mainland of Thailand. It’s a home to manta rays, whale sharks and various other species of fish. Richelieu Rocks attract divers from all over the world. In here you’ll find colorful corals, sea fans, caves, a large variety of fish, macro critters and of course, whale sharks. This is the world’s sixth best place to dive in. It has a depth of 400 feet and is about 1,000 feet across in diameter. It’s a vertical cave that holds the remnants of its history when it was above water. The water in Belize is mostly warm and never drops below twenty-six degrees Celsius. The best time to see Belize’s beauty is between April and June. 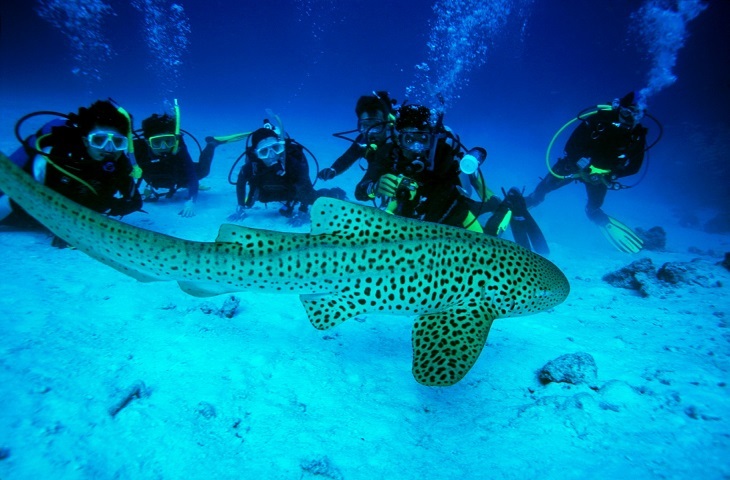 This is the time when you’ll experience the Great Blue Hole along with whale sharks. Fish and wrecks can be found almost anywhere, but diving in a geographical phenomenon will feel like diving in the most beautiful place in the world. This luxury ocean liner had broken records during the 1930s; on her voyage from San Francisco to Japan. Once, during 1942, she got hit by mines and now lies on her side in Espiritu Santo, Vanuata. The President Coolidge is completely protected by law. She and her surrounding seabed have been legally registered as a Marine Reserve. This wreck is the world’s most accessible wreck, which starts at 8 meters and stretches down till 70 meters. If you can hit the near bottom, you might even find the WWII American Jeeps. Apart from that, you can also find the ship’s engine room, dining room, a mosaic-lined swimming pool, etc. Silfra in Thingvellir, Iceland is located on the tectonic plate boundaries of Mid-Atlantic Ridge. This area provides a crystal clear rift between two continents: Europe and America. 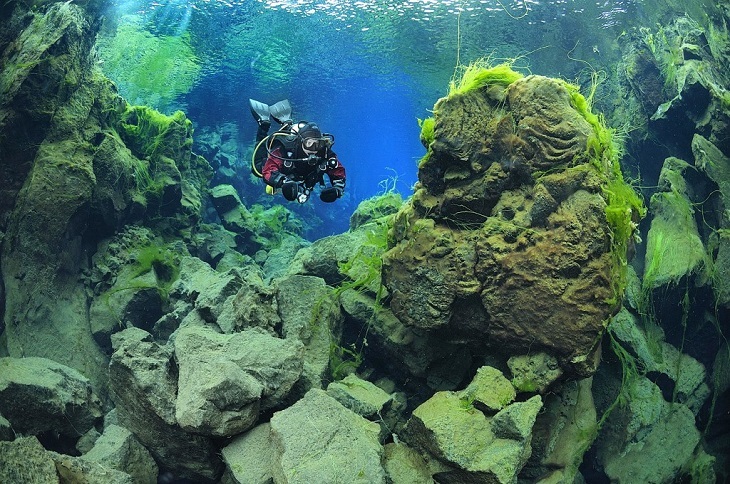 To be more precise, Silfra Fissure is a crack between Eurasia and North America. This means that you dive in an area where continental plates meet and then drift apart about two centimeters every year. A unique feature of Silfra is that sunlight penetrates its crystal clear waters up till one hundred meters deep. This is one experience that you cannot have in any other place in the world which compels us somewhere to conclude that Silfra is indeed one of the most wonderful places in the world. It is hoped that at least one or more places from the aforementioned list have inspired you to book your tickets right now. These are some of the best beaches in the world where you can go and explore the things beneath the sea as well. Deep sea diving and snorkeling in the above-mentioned places will become a part of your precious memories. 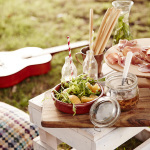 Lily Evans is the founder of SkyWeFly, where I and my associates blog about photographs, stories and travel tips that will help you make a great journey. I hope to bring my passion to more people via SkyWeFly.